What do these gut bugs actually do? We know the gut microbiota serves an important role in promoting our health and wellbeing, but how? Broadly speaking, the gut microbiota achieves this through two main mechanisms: 1) by providing a physical presence along the gastrointestinal (GI) tract, and 2) through its constant metabolic activity. 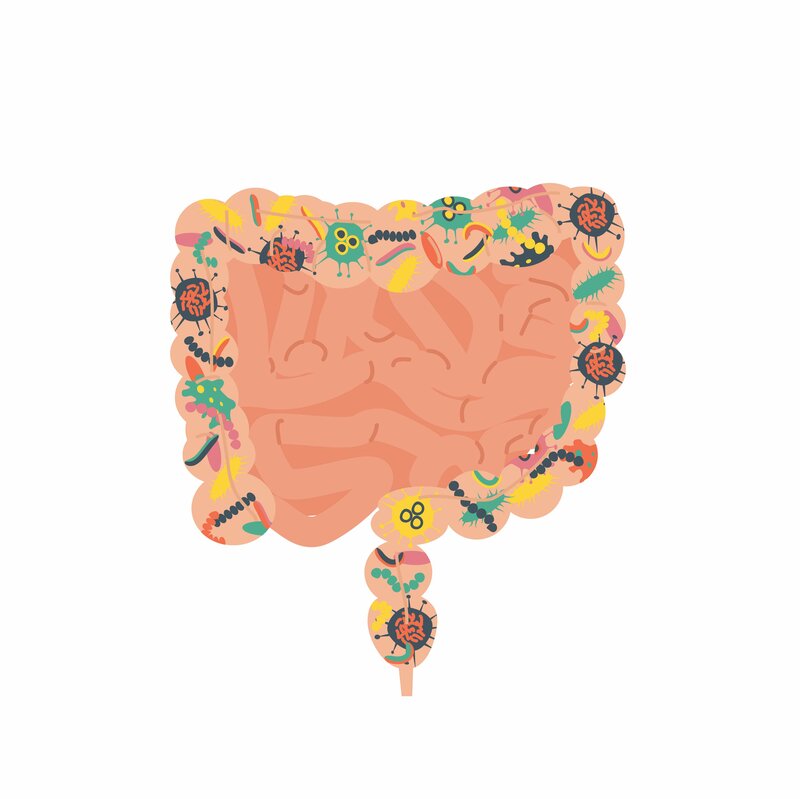 In a number of ways, the gut microbiota provides a physical layer of defence along the GI tract. Firstly, these bugs form a layer of defence against incoming pathogens (disease-causing bugs). They achieve this by simply residing on the internal lining of the gut wall, reducing the availability of space for pathogens to latch onto (think of the GI tract as a massive parking lot) (1). Secondly, they make the life of pathogens quite difficult by competing for nutrient sources. This limits the nutrients available for pathogen to survive and grow (1). Finally, some of the gut microbiota assist in the formation of the intestinal wall itself. Their presence along the GI tract strengthens the gut barrier via interactions with immune and endocrine (hormone producing) cells at the mucosal border (2, 3). The gut microbiota also has a high level of metabolic activity. This means they are constantly in action, breaking down undigested compounds and substances and turning them over into useful by-products for our body. The best example of this is the gut microbiota’s relationship with fermentable fibres. Some of the microbes can break down these fibres through fermentation (something our body is incapable of) as they pass through the GI tract. The fermentation process produces a cascade of different effects and reactions that affect both the gut bugs and host. The gut microbiota benefits from fermentation, as it provides the bugs with energy to support their growth. 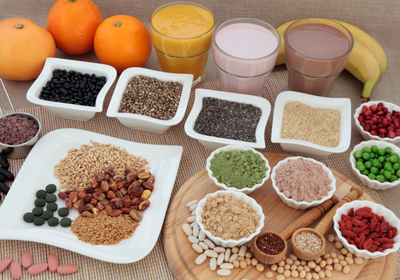 The bacterial species capable of fermenting fibre (and other carbohydrate-based nutrients) are generally thought of as beneficial (4), so maintaining their health and numbers helps balance the overall microbial population. Our body benefits from both the compounds released as fibre is broken down, and from having a more balanced gut bug population. These compounds released differ based on the type of fibre fermented and the type of bacteria doing the fermenting, but include short chain fatty acids (SCFA), vitamins and gases. These compounds are either taken up or used by other bacteria in a process called ‘cross-feeding’ (2, 5). The SCFAs are particularly useful and may protect against colon cancer (6). On the other hand, fermentation of proteins produces a range of toxins, which may have negative effects on health (7). 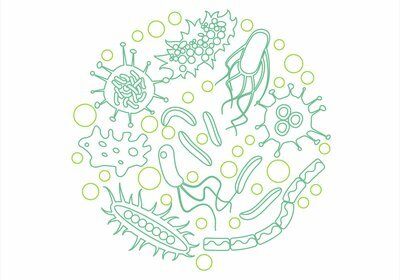 The functionality of the gut microbiota is incredibly complex and there is still much to be discovered, but it’s clear that they have direct effects on health in many ways. Luckily, it appears we have a direct impact on the way these bugs function through our diet and the food we eat. Eating a balanced, nutritious diet that includes plenty of fibre is the best way to keep both you and your gut bugs happy and healthy! You can read more about healthy meal planning and getting enough fibre on a low FODMAP diet in our previous blogs. 1. Sekirov I, Russell SL, Antunes LC, Finlay BB. Gut microbiota in health and disease. Physiological reviews 2010;90(3):859-904. doi: 10.1152/physrev.00045.2009. 2. Ohman L, Tornblom H, Simren M. Crosstalk at the mucosal border: importance of the gut microenvironment in IBS. Nature reviews Gastroenterology & hepatology 2015;12(1):36-49. doi: 10.1038/nrgastro.2014.200. 3. Tappenden KA, Deutsch AS. The physiological relevance of the intestinal microbiota--contributions to human health. Journal of the American College of Nutrition 2007;26(6):679s-83s. 4. Vieira-Silva S, Falony G, Darzi Y, Lima-Mendez G, Garcia Yunta R, Okuda S, Vandeputte D, Valles-Colomer M, Hildebrand F, Chaffron S, et al. Species-function relationships shape ecological properties of the human gut microbiome. Nature microbiology 2016;1(8):16088. doi: 10.1038/nmicrobiol.2016.88. 5. Duncan SH, Louis P, Flint HJ. Lactate-utilizing bacteria, isolated from human feces, that produce butyrate as a major fermentation product. Applied and environmental microbiology 2004;70(10):5810-7. doi: 10.1128/aem.70.10.5810-5817.2004. 6. Canani RB, Costanzo MD, Leone L, Pedata M, Meli R, Calignano A. Potential beneficial effects of butyrate in intestinal and extraintestinal diseases. World Journal of Gastroenterology : WJG 2011;17(12):1519-28. doi: 10.3748/wjg.v17.i12.1519. 7. Windey K, De Preter V, Verbeke K. Relevance of protein fermentation to gut health. Molecular nutrition & food research 2012;56(1):184-96. doi: 10.1002/mnfr.201100542.